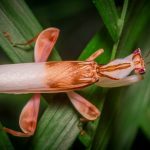 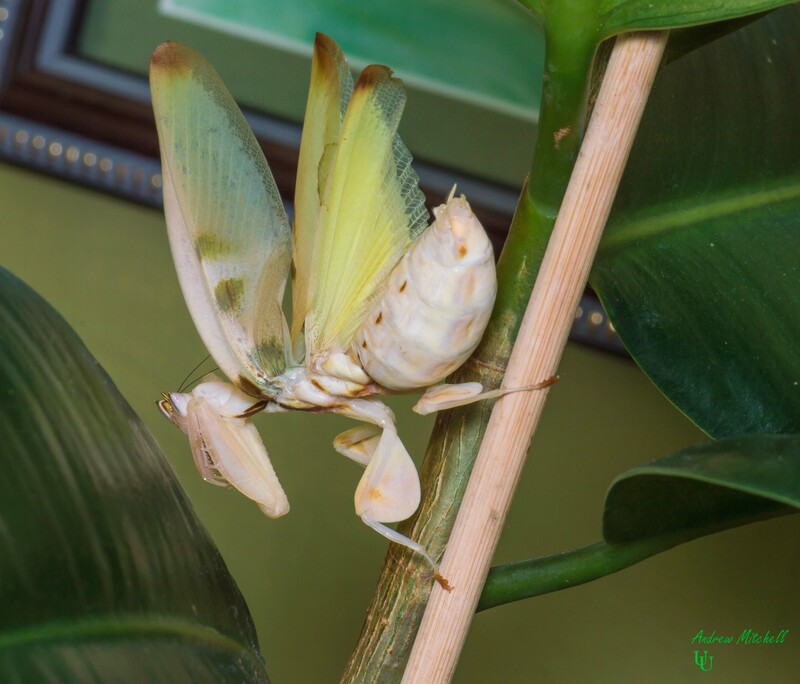 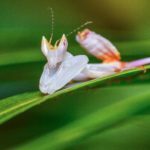 Hymenopus coronatus (Orchid Mantis) is a relatively easy Praying Mantis to keep and as such is perfect for a beginner keeping exotic invertebrates. 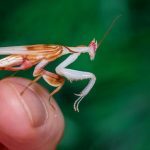 With its superb adaptations of leaf/petal-like mimicry, Hymenopus coronatus (Orchid Mantis) really is a distinguishable and truly captivating species of Praying Mantis to keep. 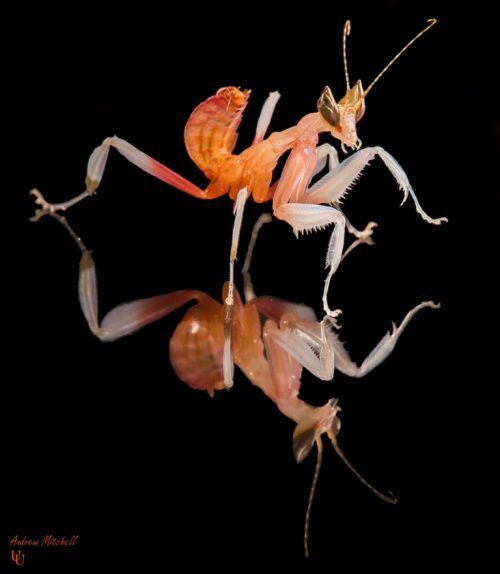 Hymenopus coronatus, also called H. bicornis, is a mantis from the rain forests of Southeast Asia. 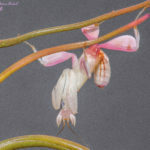 It is known by various common names including walking flower mantis and (pink) orchid mantis. 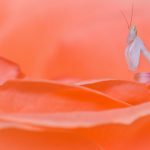 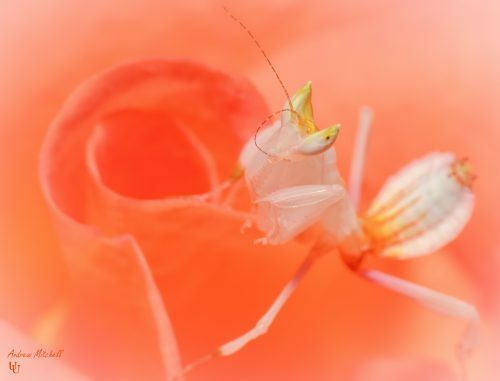 It is one of several species known as flower mantises from their resemblance and behaviour. 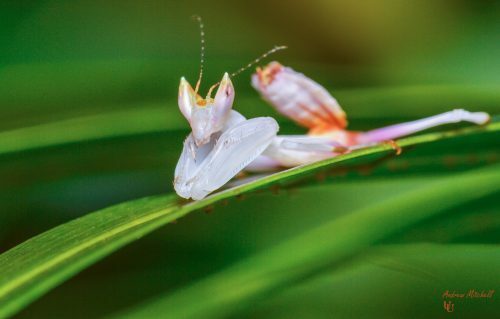 In the wild, H. coronatus can be found in Malaysia. 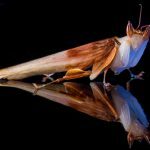 This species is characterized by brilliant colouring and a structure finely adapted for camouflage, mimicking parts of the orchid flower. 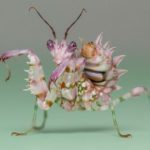 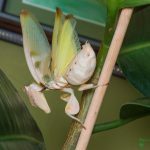 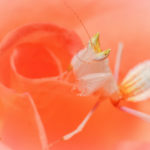 The four walking legs resemble flower petals, the toothed front pair being used as in other mantises for grasping prey. 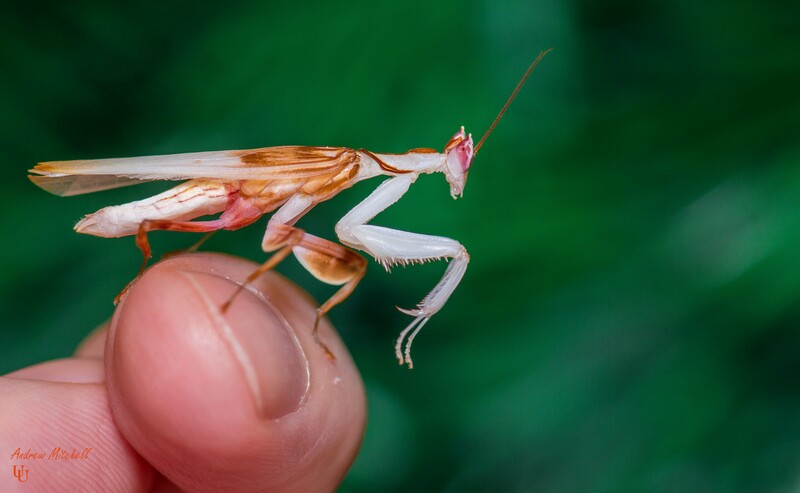 H. coronatus shows some of the most pronounced sexual dimorphism of any species of mantis; males can be less than half the size of females. 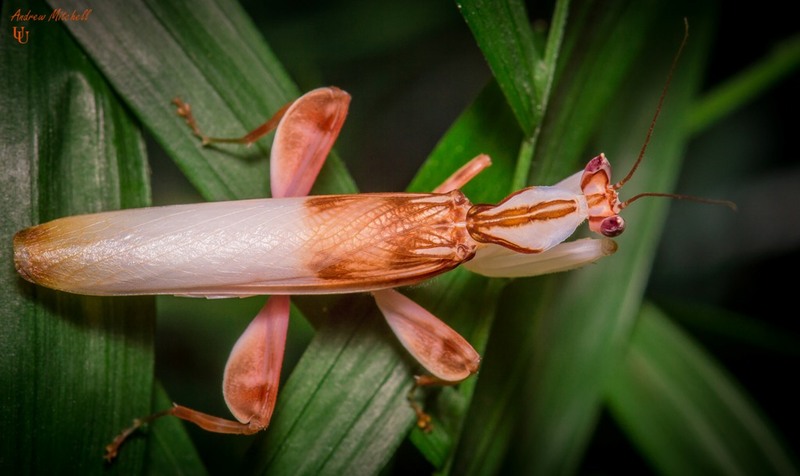 First-stage nymphs mimic bugs of the family Reduviidae, which have a powerful bite and are foul tasting. 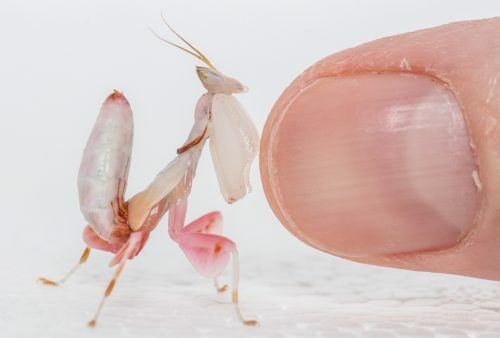 The mantis can change its colour between pink and brown, according to the colour of the background. 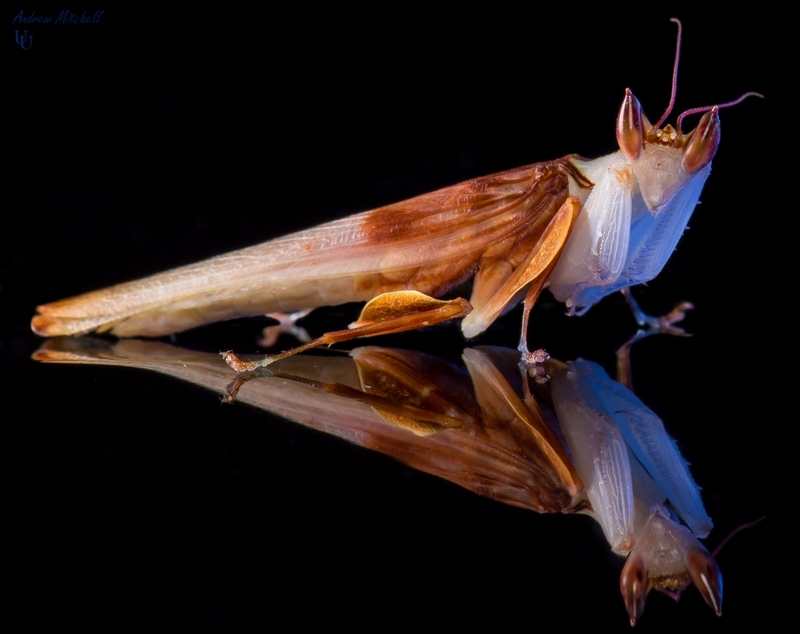 Hymenopus coronatus is found in the rain forests of South-East Asia, including Malaysia and Indonesia. 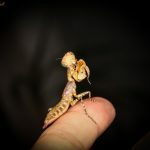 The species is carnivorous, mainly catching other insects. 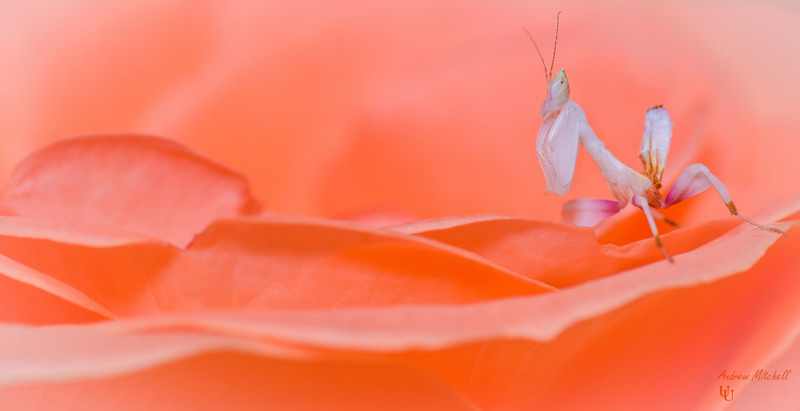 In the laboratory it prefers lepidopteran prey. 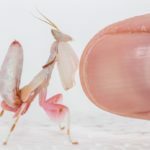 Their diet consists of eating small insects, including flying insects such as crickets, flies, fruit-flies, beetles and even bees or other dangerous insects. 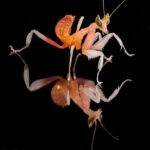 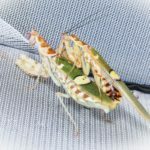 Some Mantis have even been known to be carnivorous, eating their own siblings when a smaller, slower brother or sister may wonder too closely. 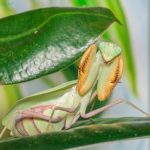 Mantis have even been known to eat comparably very large mammals such as lizards, birds, frogs, turtles, and even mice.